Nationality: German. Born: Bad Wörishofen, Bavaria, 31 May 1946. Education: The Rudolf Steiner School and Secondary schools in Augsburg and Munich until 1964; studied acting at Fridl-Leonhard Studio, Munich. Family: Married Ingrid Caven, 1970 (divorced). Career: Worked as decorator and in archives of Süddeutsche Zeitung , Munich, 1964–66; failed entrance exam to West Berlin Film and Television Academy, 1965; joined action-theater , Munich, with Hanna Schygulla, 1967; first original play produced ( Katzelmacher ), action-theater closed in May, co-founded anti-theater , 1968; began making films with members of anti-theater , 1969; worked in German theatre and radio, and as actor, 1969–82; founder, Tango Film, independent company, 1971; with Kurt Raab and Roland Petri, took over Theater am Turm (TAT), Frankfurt, 1974; TAT project failed, returned to Munich to concentrate on film work, 1975. Awards: Golden Bear, Berlin Festival, for Die Sehnsucht der Veronika Voss , 1982. Died: In Munich, 10 June 1982. Antitheater 2 , Frankfurt, 1974. Stücke 3 , Munich, 1978. Querelle Filmbuch , Munich 1982. Film Befreien den Kopf: Essays und Arbeitsnotizen , edited by Michael Toteburg, Frankfurt, 1984. Die Anarchie der Phantasie: Gesprache und Interviews , edited by Michael Toteburg, Frankfurt, 1986. The Marriage of Maria Braun , edited by Joyce Rheuban, New Brunswick, New Jersey, 1986. Die Kinofilme 1 , Munich, 1987.
" Liebe ist kälter als der Tod ," in Film (London), no. 8, 1969. Interview in Filmkritik (Munich), August 1969. "Imitation of Life: On the Films of Douglas Sirk," in Douglas Sirk , edited by Mulvey and Halliday, Edinburgh, 1972. Interview in Sight and Sound (London), Winter 1974/75. Interview in Film Comment (New York), November/December 1975. "Insects in a Glass Case," in Sight and Sound (London), Autumn 1976. Interview in Cineaste (New York), Autumn 1977. "Ich bin das Gluck dieser Erde. Ach war' das schon wenn's so ware," an interview with B. Steinborn and R. von Naso, in Filmfaust (Frankfurt), April-May 1982. Interview with P. Pawlikowski, in Stills (London), November/December 1982. Limmer, Wolfgang, Fassbinder , Munich, 1973. 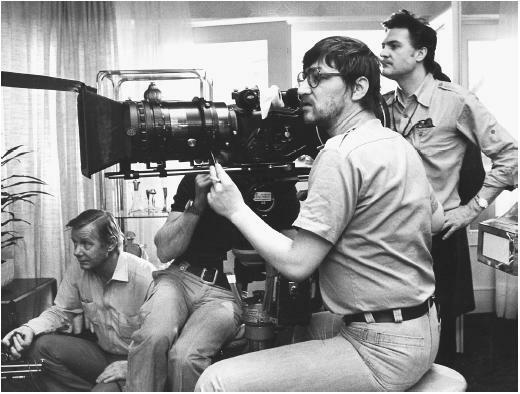 Jansen, Peter, and Wolfram Schütte, editors, Reihe Film 2: Rainer Werner Fassbinder , Munich, 1979. Eckhardt, Bernd, Rainer Werner Fassbinder: In 17 jahren 42 Filme— Stationen eines Leben fur den Deutschen Film , Munich, 1982. Hayman, Ronald, Fassbinder: Filmmaker , London, 1984. Lardeau, Yann, Rainer Werner Fassbinder , Paris, 1990. Spaich, Herbert, Rainer Werner Fassbinder: Leben und Werk , Weinheim, 1992. Shattuc, Jane, Television, Tabloids, and Tears: Fassbinder and Popular Culture , Minneapolis, Minnesota Press, 1995. Watson, Wallace Steadman, Understanding Rainer Werner Fassbinder: Film as Private and Public Art , Columbia, South Carolina, 1996. Wilson, David, "Anti-Cinema: Rainer Werner Fassbinder," in Sight and Sound (London), no. 2, 1972. "Fassbinder and Sirk," in Film Comment (New York), November/December 1975. "Gay Men and Film Section," in Jump Cut (Berkeley), no. 16, 1977. Oms, M., A. Micheu, and M. Meitzel, "À propos de Rainer Werner Fassbinder," in Cahiers de la Cinématheque (Perpignan), vol. 32, Spring 1981. "Fassbinder Issue" of October (Cambridge, Massachusetts), Summer 1982. Dossier on Fassbinder, in Cinéma (Paris), July-August 1982. Roud, Richard, "Biter Bit," in Sight and Sound (London), Autumn 1982. Hoberman, J., "Explorations," in American Film (Washington, D.C.), September 1982. Riley, B., and H. Kennedy, obituaries, in Film Comment (New York), September/October 1982. MacBean, J.R., "The Success and Failure of Rainer Werner Fassbinder," in Sight and Sound (London), Winter 1982/83. MacBean, J.R., "The Cinema as Self–Portrait: The Final Films of R.W. Fassbinder," in Cineaste (New York), vol. 12, no. 4, 1983. Sirk, Douglas, "Obituary for Rainer Werner Fassbinder," in Framework (Norwich), no. 20, 1983. Erffmeyer, T.E., "I Only Want You to Love Me: Fassbinder, Melodrama and Brechtian Form," in Journal of University Film Association (Carbondale, Illinois), Winter 1983. Feinstein, Herbert, "BRD 1–2-3: Fassbinder's Postwar Trilogy and the Spectacle," in Cinema Journal (Champaign, Illinois), Fall 1983. Katz, Robert, "Fear Ate His Soul," in American Film (Washington, D.C.), July/August 1985. Krasnova, G., "Uber Rainer Werner Fassbinder," in Beiträge zur Film und Fernsehwissenschaft (Berlin), vol. 26, no. 2, 1985. Silverman, K., "Fassbinder and Lacan: A Reconsideration of Gaze, Look, and Image," in Camera Obscura (Baltimore), no. 18, 1989. Ruppert, P., "Fassbinder, Spectatorship, and Utopian Desire," in Cinema Journal (Berkeley), vol. 28, no. 2, Winter 1989. "The Other Fassbinder," in Wide Angle (Baltimore), vol. 12, no. 1, January 1990. Pflaum, H.G., ". . . ich hatte nur diese bestimmte Zeit. . . ," in EPD Film (Frankfurt), vol. 9, no. 6, June 1992. Watson, W., "The Bitter Tears of Rainer Werner Fassbinder/Fassbinder Bogarde Letters," in Sight and Sound (London), vol. 2, no. 3, July 1992. Naughton, Leonie, "Fassbinder: Ten Years On. . . ," in Filmnews , vol. 22, no. 7, August 1992. "Fassbinder-Werkschau," in Film und Fernsehen (Berlin), vol. 20, no. 4, August 1992. Shattuc, Jane, "Fassbinder as a Popular Auteur: The Making of an Authorial Legend," in Journal of Film and Television (Boston), vol. 45, no. 1, Spring 1993. Nevers, C., and E. Andréanszky, "Le secret de Rainer Werner Fassbinder," in Cahiers du Cinéma (Paris), no. 469, June 1993. Shattuc, Jane, "Contra Brecht: Rainer Werner Fassbinder and Pop Culture in the Sixties," in Cinema Journal (Austin, Texas), vol. 33, no. 1, Fall 1993. Medhurst, Andy, "The Long Take," in Sight and Sound , vol. 6, no. 2, February 1996.
von Mengershausen, Joachim, Ende einer Kommune , West Germany, 1970. Ballhaus, Michael, and Dietmar Buchmann, Fassbinder produziert: Film Nr. 8 , West Germany, 1971. Wiebel, Martin, and Ludwig Metzger, Glashaus-TV Intern , West Germany, 1973. Plater, Edward M.V., "The Externalization of the Protagonist's Mind in Fassbinder's Despair ," in Film Criticism (Meadville, Pennsylvania), vol. 11, no. 3, 1987. Rainer Werner Fassbinder was the leading member of a group of second-generation, alternative filmmakers in West Germany. The first generation consisted of Alexander Kluge and others who in 1962 drafted the Oberhausen Manifesto, initiating what has come to be called the "New German Cinema." Fassbinder's most distinguishing trait within the tradition of "counter-cinema," aside from his reputation for rendering fragments of the new left ideology of the 1960s on film, was his modification of the conventions of political cinema initiated in the 1920s and subsequent tailoring of these conventions to modern conditions of Hollywood cinema. He did this to a greater degree than Godard, who is credited with using these principles as content for filmic essays on narrative. In an interview in 1971 Fassbinder asserted what has come to represent his most convincing justification for his innovative attachment to story: "The American cinema is the only one I can take really seriously, because it's the only one that has really reached an audience. German cinema used to do so, before 1933, and of course there are individual directors in other countries who are in touch with their audiences. But American cinema has generally had the happiest relationship with its audience, and that is because it doesn't try to be 'art.' Its narrative style is not so complicated or artificial. Well, of course it's artificial, but not 'artistic'." This concern with narrative and popular expression (some of his productions recall the good storytelling habits of Renoir) was evident early in the theatrical beginnings of Fassbinder's career, when he forged an aesthetic that could safely be labeled a creative synthesis of Brecht and Artaud oriented toward the persuasion of larger audiences. This aesthetic began to form with Fassbinder's turn to the stage in 1967. He had finished his secondary school training in 1964 in Augsburg and Munich. He joined the Action-Theater in Munich with Hanna Schygulla, whom he had met in acting school. After producing his first original play in 1968, the Action-Theater was closed by the police in May of that year. Fassbinder then founded the "antitheater," a venture loosely organized around the tenets of Brechtian theater translated into terms alluring for contemporary audiences. Although the 1969 Liebe ist kälter als der Tod marks the effective beginning of his feature film career ( Der Stadtsreicher and Das kleine Chaos constituting minor efforts), he was to maintain an intermittent foothold in the theater over the years until his premature death, working in various productions throughout Germany and producing a number of radio plays in the early 1970s. The stint with "antitheater" was followed by the assumption of directorial control, with Kurt Raab and Roland Petri, over the Theater am Turm (TAT) of Frankfurt in 1974, and the founding of Albatross Productions for coproductions in 1975. When TAT failed, Fassbinder became less involved in the theater, but a trace of his interest always remained and was manifested in his frequent appearances in his own films. In fact, out of the more than forty feature films produced during his lifetime, there have only been a handful or so in which Fassbinder did not appear in one way or another. Indeed, he has had a major role in at least ten of these films. Fassbinder's mixing together of Hollywood and avant-garde forms took a variety of turns throughout his brief career. In the films made during the peak of 1960s activism in Germany—specifically Katzelmacher, Liebe ist kälter als der Tod, Götter der Pest , and Warum läuft Herr R. Amok? —theatrical conventions, principally those derived from his Brechtian training, join forces with a "minimalist" aesthetic and the indigenous energies of the Heimatfilm to portray such sensitive issues as the foreign worker problem, contradictions within supposedly revolutionary youth culture, and concerns of national identity. These early "filmed theater" pieces, inevitably conforming to a static, long-take style because of a dearth of funding, tended to resemble parables or fables in their brevity and moral, didactic structuring. As funding from the government increased in proportion to his success, the popular forms of filmmaking associated with Hollywood became his models. His output from 1970 through the apocalyptic events of October 1977 (a series of terrorist actions culminated in Hans-Martin Schleyer's death, etc.) is an exploration of the forms of melodrama and the family romance as a way to place social issues within the frame of sexual politics. Whity, Der Händler der vier Jahreszeiten, Die bitteren Tränen der Petra von Kant, Martha, Faustrecht der Freiheit , and Frauen in New York are perhaps the most prominent examples. A self-reflexive pastiche of the gangster film is evident as well in Der amerikanische Soldat. This attention to the mediation of other forms ultimately began to assume the direction of a critique of the "art film": Warnung vor einer heiligen Nutte , an update of 8 1/2 ; Satansbraten , a comment on aesthetics and politics centered around the figure of Stephen George; and Chinesisches Roulette , a parody concerning an inbred aristocracy. The concern with the continuation of fascism into the present day received some attention in this period (specifically in Wildwechsel, Despair , and Bolwieser ), but it became the dominant structuring motivation in the final period (1977–82) of Fassbinder's career. Here there is a kind of epic recombination of all earlier innovations in service of an understanding of fascism and its implications for the immediate postwar generation. Fassbinder's segment in Deutschland im Herbst (a collective endeavor of many German intellectuals and filmmakers) inaugurates this period. It and Die Ehe der Maria Braun, Lili Marleen, Lola , and Die Sehnsucht der Veronika Voss may be seen as a portrayal of the consolidation of German society to conform to the "American Model" of social and economic development. In einem Jahr mit 13 Monden, Berlin Alexanderplatz , and Querelle are depictions of the crisis in sexual identity, and the criminal and counter-cultural worlds associated with that process, in relation to "capitalism in crisis." Die dritte Generation is a kind of cynical summation of the German new left in the wake of a decade of terrorist activities. This final phase, perhaps Fassbinder's most brilliant cinematically, will be the one given the greatest critical attention in future years. It is the one which evinces the keenest awareness of the intellectual spaces traversed in Germany since the years of fascism (and especially since the mid-1960s), and the one which reveals the most effective assimilation of the heritage of forms associated with art and political cinema.